Blazing Arrow 3Pc. 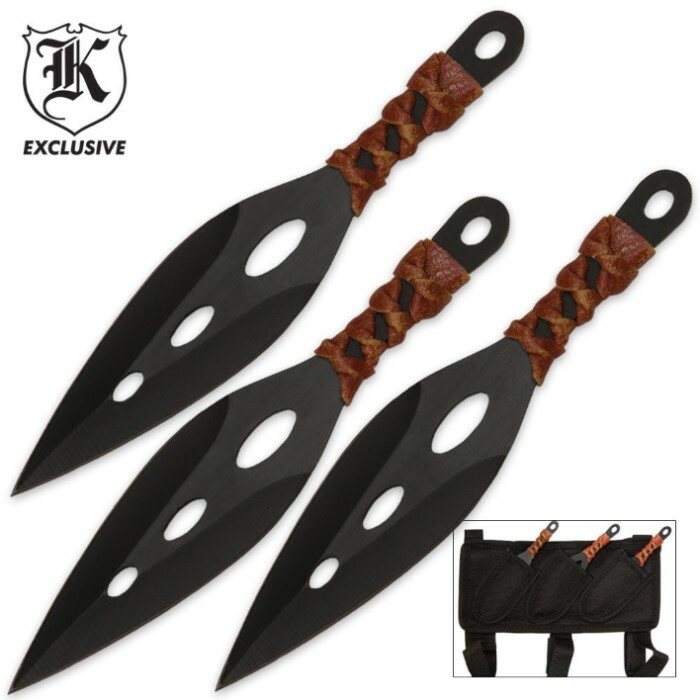 Thrower Set With Sheath | BUDK.com - Knives & Swords At The Lowest Prices! Blaze toward becoming an expert thrower with this Blazing Arrow 3 Piece Thrower Set With Sheath. The three knives measure in at five inches overall, and feature black coated AUS-6 stainless steel blade construction with silver edges and handsome leather wrapped handles. Includes custom nylon sheath.